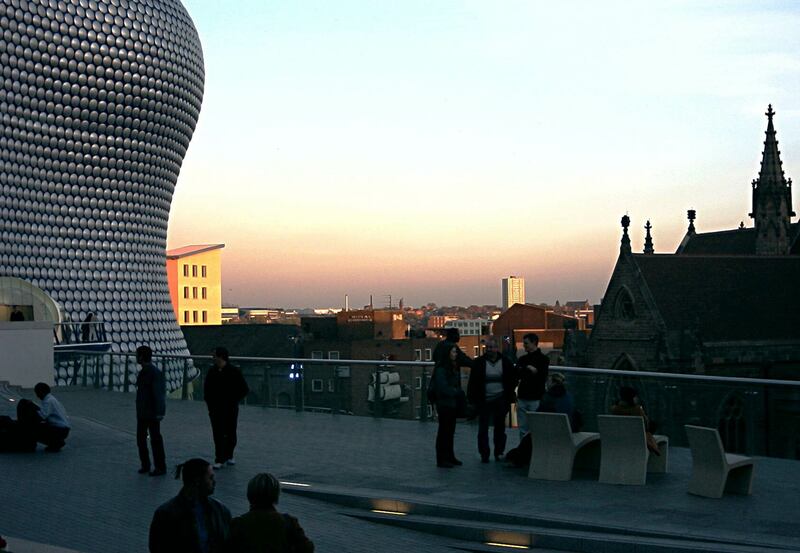 On a recent visit to Birmingham I had the opportunity for a brief look at the new Bullring development and its flagship Selfridges store. I have to admit that despite my initial misgivings, based purely on TV and newspaper photographs, I was impressed. I didn't have time to explore the scheme from all angles, but it seems to work well as a piece of urban design, not just as a collection of flashy buildings. Approaching the scheme from the station side, it looks pretty much like just another shopping centre, although that other iconic Birmingham building, the Rotunda is still prominent. A reasonable pedestrian link seems also to have been created to Smallbrook, which when I lived in Birmingham was a dual carriageway racetrack isolated from the main centre. Inside the development are three levels of shopping - all busy when I was there. Every opportunity seems to have been taken to open this up so that views and horizons are constantly changing as you walk through. Also, contrary to what I expected the development isn't a single enclosed mall. Once inside it is very quickly possible to see daylight at the other end, again through a three storey glass wall. This leads out at the middle level to a new street, linking New Street and High Street to the area around St Martin's church, which was formerly separated by the inner ring road. Across this street is a further enclosed area but there are also shops taking access from the new pedestrian street. 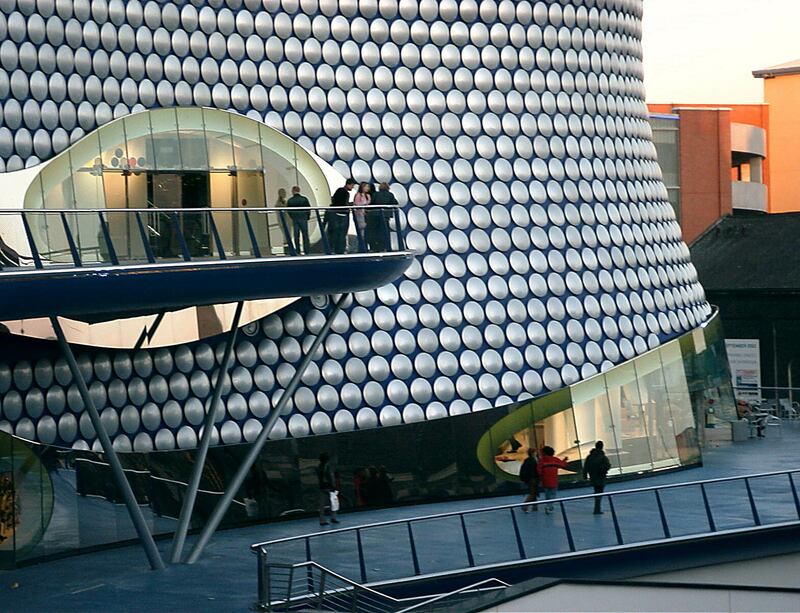 It is from here that you get the first view of the new Selfridge store and it is pretty spectacular. The levels in this area change quite rapidly and this has enabled the creation of a kind of viewing balcony above the new square around the church. Access to this lower level is also available from within the new development on both sides. There are other photographs here - another view of the Selfridge store, here - a composite image showing the new store and St Martin's Church and here - giving an idea of the difference in levels. Overall then I think the development is a piece of world class urban design - it is a pity we never seem to get this standard of design in housing development .